Drummer, percussionist, instrumentalist and composer Glenn Kotche has been prolific in his output lately. Earlier this year, he appeared on his primary band's release, Wilco (The Album), then recently, on the excellent recent 7 Worlds Collide collaborative project (The Sun Came Out), headed by Neil Finn. With his duo project, On Fillmore, Kotche has released his third recording for 2009 with Extended Vacation, a collaboration with Chicago bassist Darin Grey, who also works with Brise-Glace and Jim O'Rourke. As we see in the latest Wilco documentary, Ashes of American Flags, Kotche appears to be a tortured perfectionist, practicing tirelessly in-between concerts; his hands bloodied at the end of performances. 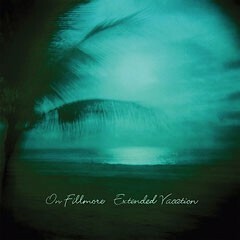 Extended Vacations serves as an apt title for his fourth On Fillmore record -- not only for the album, but also for the entire piece. Though there are seven song titles listed on the Extended Vacation album cover, each is interwoven with the next so they act as an ensemble piece with the "songs," "Checking In" and "Checking Out," book-ending the record. It's clever, and it works. And yes, the "songs" are somewhat repetitive in it structure, with Kotche using the vibraphone to pronounce the recurring melody lines. But complaining about that would be like decrying Phillip Glass' work for being repetitive (and it is, and it is). When (and if) the listener can move past this, there is a great payoff. With a complimenting and steady skill, bassist Darin Gray provides bass lines that thread the pieces together, allowing Kotche to add his assortment of percussion, tape loops, electronics and bird field recordings. The talented drummer has already displayed his advanced knowledge of unlocking a wide, eccentric cache of percussive sounds, evident on his solo work, Mobile, released in 2006. But as stated earlier, Kotche has taken a "holiday" away from the more dense work he has already released this year. He has chosen to use space in his songs, using the vibraphone to stretch the notes, inspired heavily by famed composer Nino Rota, who's best known for scoring Italian director Federico Fellini's most brilliant films, and with a definite nod to Martin Denny's Quiet Village exotica. Kotche uses this inspiration, with noir-esque sunglass lenses. The album moves at a cool pace, much like John Zorn's tribute to the Northern California cultural landscape with Alhambra Love Songs, released earlier this year. The percussion is used to punctuate the song's drama, with great subtlety. In fact, it's playful, oddball and surreal, like much of Rota's (or Ennio Morricone's) work. From the fluttering glockenspiel on "Master Moon," to the muffled air raid quality of "Daydreaming So Early," to the Konono No°1-like distorted thumb piano touches in the title track, Kotche and Gray have created an engaging, satisfying and hypnotic sonic getaway with Extended Vacation.